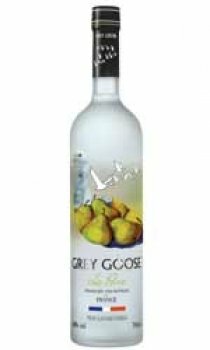 In the Anjou region of France, the essence of Anjou pears is artisticaly blended by the Maitre de Chai with the world's finest vodka to create Grey Goose la Poire Flavoured vodka. Origininating from France, the Beurre d'Anjou, Anjou pear, is prized for its clean sweetness and mellow flavour. Once ripened, the Anjou pear is subtly sweet and notably smooth. Both sophisticated and unique, the taste of Grey Goose La Poire is a fitting compliment for a variety of cuisiines and cocktails including the signature Peartini.